This guide is specifically for East Timor (SAMES). If you are using a general version of mSupply you will not see the same functionality described here. Here you can set up types, sizes and conditions by choosing these options from the show drop-down list at the top of the window. Sustainable Solutions will do this for you on installation. Don't change any settings without contacting us. 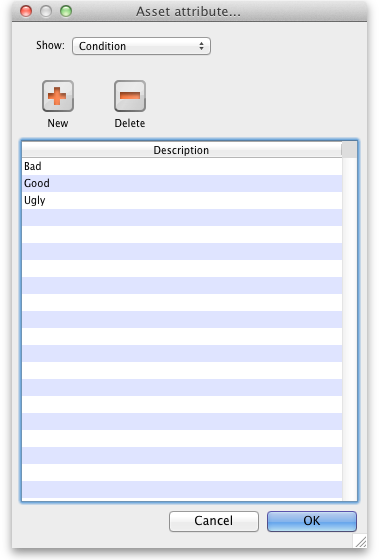 User permissions are accessed from the File > Edit users menu item. Note that Setup assets permissions should only be give to one person, as wrong use will create problems. You will still need to fill in the serial number, as this will be unique for the new asset. Fill in the name and serial number, and choose from the list for condition, size and status. 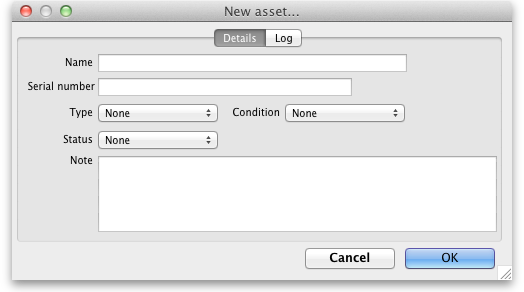 You can use the “Type” and “Status” drop-down lists to choose just a certain type or status of asset to be shown. 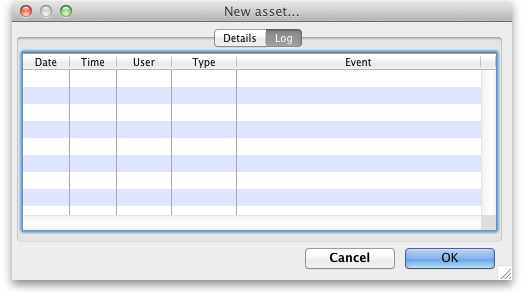 You can enter a value in the search field (customer name or asset serial number) to find the asset(s) you want. Entering a star in the search field will find all cylinders at SAMES. Let's take the example of sending cylinders to a customer. enter “*” in the search field to find all the cyclinders at SAMES. 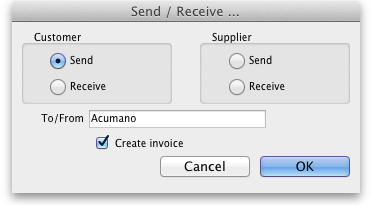 Click the checkbox beside the cylinders you wish to send to the customer. Click the Customer : Send radio button. Enter the start of the customer name and press <tab> then choose the customer from the list if there is more than one to choose from. The create invoice checkbox will be checked, and you should leave it checked unless there is a reason not to create an invoice for this shipment. 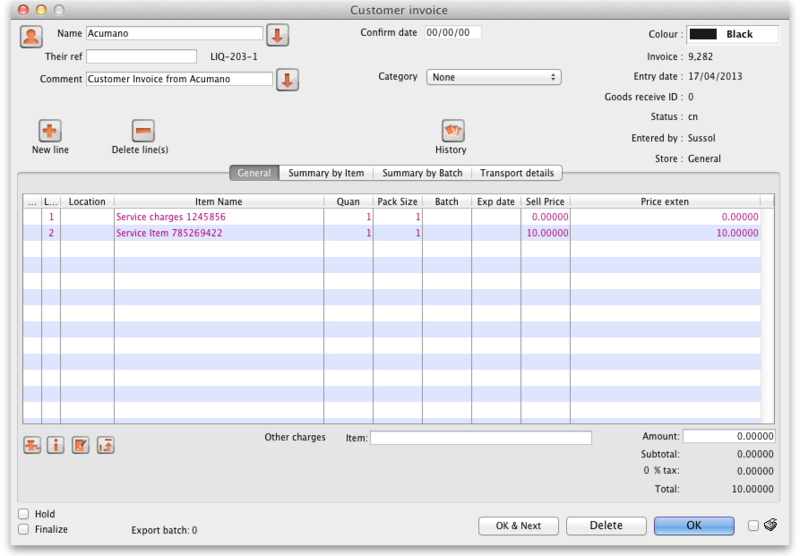 The invoice that is made will have lines that are purple, showing that they're service lines, and don't involve stock. A report is produced that gives a summary of where cylinders are, and how many at SAMES are full or empty. If you wish to get a list of assets at a particular customer, in SAMES, or with a supplier you can do so using the search function of the list window. 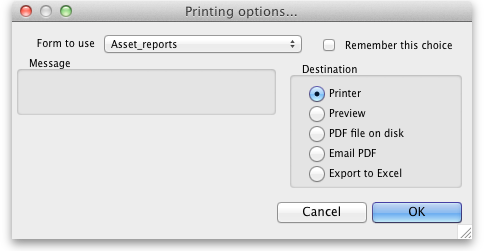 If you need to report on the value of assets sent and received, this can be done using the normal transaction reports.